Parent involvement and family engagement. Are they the same? Although parent involvement and family engagement sound interchangeable, their meanings are actually quite different. Parent involvement often means communicating with parents about how they can be involved in the learning process whereas family engagement involves a deeper more meaningful relationship between schools and families. I will help to establish an understanding of the differences between parent involvement and family engagement and also to demonstrate how both can be used in conjunction to create a more nurturing, rewarding, and satisfying learning environment for all. Relationships between schools and families are critical to student success. Research shows that parent involvement can have significant effects on educational achievement, even from an early age. Throughout their lives, students have two main educators; their teachers and their parents. As prime educators, parents play a crucial role in their child’s learning and education experience. Fostering a meaningful relationship between parents and schools can be a difficult task. While parent involvement is a crucial piece of this relationship, schools can and should go deeper to nurture these relationships to help ensure student success. In order to develop these relationships, schools should be focused on more family engagement. The main difference between involvement and engagement is the fact that engagement fosters family-school relationships that are more meaningful and ongoing. One of the best books I’ve found on family engagement is, In It Together: How Student, Family, and Community Partnerships Advance Engagement and Achievement in Diverse Classrooms. How can we improve family engagement? There are many ways, we as educators, can improve family engagement. I’ve narrowed the list down to five strategies that I’ve seen work in my own classroom. 1. Invite parents into the classroom. When we invite parents and families into our classrooms, we are inviting them to share our learning space. Parents should feel as though they are an integral partner in their child’s education. When you invite families into your classroom for an event, have an objective in mind what do you want to accomplish? It could be as simple as getting to know families better. In past years, I have held a family literacy club in my classroom and have invited students and parents from the grade level to partake. Not only do I get to know the parents, but they get to know each other. It’s a wonderful event and the parents love it. I know as a parent, I want to be able to get ahold of my child’s teacher when I need to. Of course, this doesn’t mean drop everything and answer every email and phone call as it comes in, but make sure you show parents that they are valued and you care about their child’s needs. In my classroom, we use class dojo. It is a great communication tool, as well as a behavior management tool. Parents can message me and I’m able to respond quickly. I can also post pictures of their students and send reminders for important dates like picture day, class parties, etc. Often times, when a family is unable to attend your classroom events or when they seem unavailable, it’s because they have other obligations. It’s important for us to remember this as teachers. Some parents work multiple jobs and only see their children for an hour or two a day. 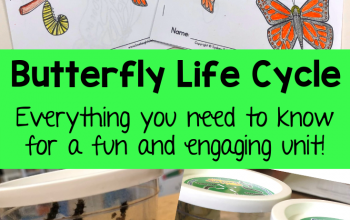 What can we do to help them be engaged in their child’s learning? Every parent wants their child to succeed, regardless of social class, ethnicity, or race. We all want what’s best for our children. It’s important to identify these barriers and figure out ways to overcome them. 4. Hold family events and make sure they are at a convenient time and location for all families. This goes along with number 3. If parents work long hours or live across town, can we change our times and locations to better suit their needs? Many parents work until 5 o’clock so holding a family event after school won’t be very beneficial to you or your students. If many students live a mile or two from school and don’t have transportation can you provide bus tickets or hold your event at a more convenient location, like a community center? 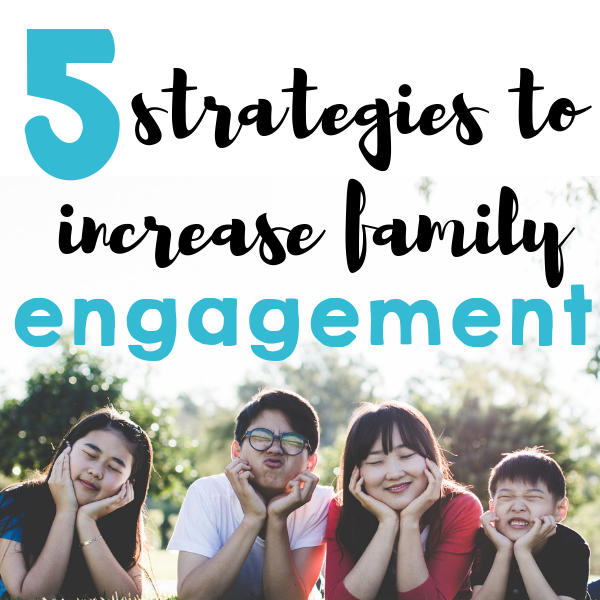 These are all questions you should be asking when you plan a family engagement event. This is a big one. As parents, our children are our world and we want to know that their teachers care too. Send home notes, make phone calls, write an email. Let parents know that their child is important and that you want them to succeed. Often times parents feel insecure about approaching a classroom teacher. Make the first move. Open up a line of communication by showing them how much you care about their child. There are many strategies and tools that teachers can use to develop better relationships through family engagement. We need to find ways to build partnerships between families and schools. What do you do for family engagement in your school or classroom? If you’re looking for more tips on classroom strategies, check out 5 Strategies for differentiated instruction in the primary classroom. As a teaching artist, the connection with parents are so important, especially when giving students the permission to play, act, and perform. A lot of times, when parents aren’t open or aware to the interest in their kids, there becomes a disconnect. Great post! I’m also an educator and Icanatest that your tips are true. I have been keeoing those in mind help kids learn holistically. This is great. My sister is a teacher I’m going to pass this on to her! Loved it! Parent engagement is so important to children. Thank you for this. Family engagements are significant to create a bond between parents, children and community as well. indeed we’re all in this together…..everyone’s involvement is crucial for child’s development especially in their formative years…..they have to have a figure to guide them…..
As someone who was a former teacher, I should add that to increase parent-teacher interaction, adding comments while checking papers, pointing out details he/she missed, can really make a difference – I got a lot of parents telling me they appreciated my matter-of-fact way of thought while teaching. So true! These days you’re more likely to see the mum, dad, junior 1 and junior 2 on their phones and ipads than having a fun, hearty conversation around the dinner table. I’ve already told MrsFrugalSamurai that we are going to implement board game Friday’s in the future – gotta keep that family spirit alive! I like the point when you mentioned about holding family events “make sure they are at a convenient time and location for all families.” I hate it when I am invited to family get together in a place where I don’t want to be at. Most times, I don’t go! These are some great tips for involving family more into their kids lives. This is a good well thought out strategy for family. I never thought about it like that. Family engagement is very important and as a parent I feel that it brings me closer to my child’s life outside the home and keeps me informed. These are great tips! Having and helping parents be involved is so beneficial for children. Thank you for sharing. Teachers would want to build a healthy relationship with their student’s parents. However there are times when there’s a lack of cooperation from the latter or vice versa. It would really be such an amazing time for both if they could increase family engagement.